Great News! Our New Book for Parents is Here! Great news! Our new book for parents of teens is here! 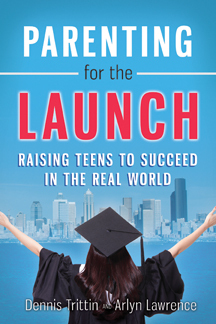 Parenting for the Launch: Raising Teens to Succeed in the Real World is now available for you to order, just in time for Christmas. 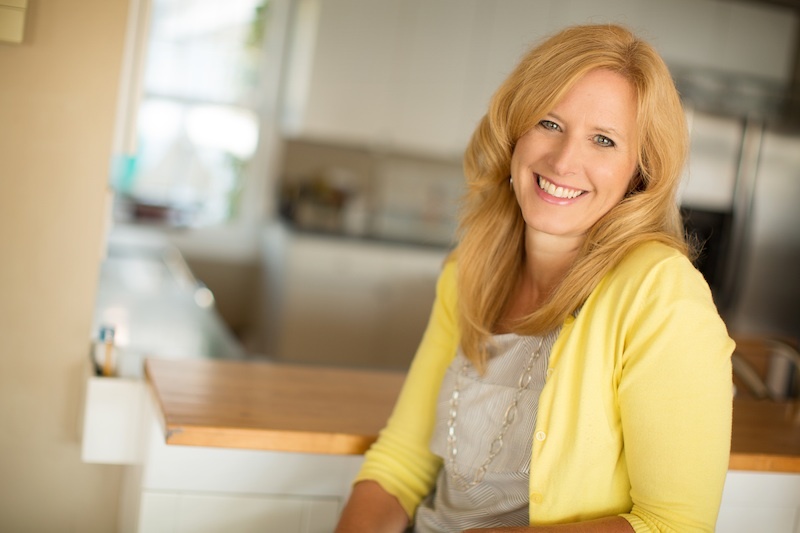 We never envisioned writing a parenting book when we began collaborating on What I Wish I Knew at 18. But, through our work with educators, counselors, business leaders, employers, and families, we regularly hear feedback about the training today’s kids are not getting, and what’s needed—from the perspectives of those receiving the kids we’re raising – i.e., employers, colleges, schools, and youth organizations. As part of parent communities ourselves, we’re also keenly aware of the emotions and concerns that surround the launching and releasing of our children into society—out of our arms and into the real world. Questions about whether we’ve covered the bases, built an a enduring relationship, and set them up for a smooth transition keep us awake at night! All of these reasons are precisely why we wrote Parenting for the Launch. now through December 31, 2013. It’s our joy and privilege to serve other parents, who, like us, want to set their children up for every success in life. And, it’s an honor to help educators build stronger bridges with parents. We hope you enjoy the book, spread the word to others, and join us on our journey at www.parentingforthelaunch.com! Stronger parenting for stronger kids! There are two lasting bequests we can give our children. One is roots. The other is wings. At a recent educator conference, a college professor lamenting the lack of real world readiness among many students confided that teens aren’t the only ones unprepared—often it’s their parents, too. She pulled out her tablet and opened an email from a student who was failing in math and science. In it was this heartbreaking sentence … “I really want to be studying fashion design, but my parents won’t let me major in that.” This student had the gifts, creative temperament, and passion for design, but her parents were footing her college bill and had their own expectations and agenda. Were they giving her wings? Or strings? Granted, it’s not all about us and what we do or don’t do. However, the way we train our children has a significant influence on their readiness for independent life. By the time children reach the teen years and parents need to start letting go, the indications should suggest we’re raising—and releasing—mature, trustworthy, well-adjusted, and motivated young adults who are ready to tackle the world. If they’re otherwise, parenting methods might be playing a role. It’s never too late or too early for some mid-course corrections where needed. Can you think of other examples of wing versus strings? If you are an educator, how do you see this impacting the students in your classrooms and how have you dealt with it? We hear that a lot. In fact, in our work with educators, youth mentors, and business and community leaders, there’s an overwhelming and urgent cry. They tell us that too many young people today are entering adulthood underprepared. How did we get to this state of affairs? There are a number of factors. One is what it commonly referred to as an “entitlement” mentality—the sense that other people owe us something, regardless of whether we have done anything to earn it. Many young adults feel entitled to get their way, viewing rules as arbitrary, their needs as paramount, and other people as existing to serve them. It’s easy to see how this mentality can affect a young person’s ability to navigate relationships and responsibilities in the “real world.” It harms relationships with teachers, coaches, professors, employers, and other superiors? It demotivates. Parents defending their children’s unacceptable behavior in meetings with school officials, coaches, etc. Granted, it’s not all about parenting and what we do or don’t do. However, the way we train our children has a greatly influences how prepared they are for independent life. We can give them wings—or we can give them strings. Strings would be anything that ties our children down and prevents them from achieving their full potential. We tie our kids down when we overly enable or control them. Wings are the things we do to prepare our children to be secure, confident, and independent adults who will live with integrity and impact. We empower our kids when we train them with strong internal guiding principles and give them freedom, opportunity, and accountability to apply them. Picture an eagle—it is free to soar high and far and to navigate the winds and turbulence that life often brings. If you’re parenting teens, are you giving them wings… or strings? It’s one of the most significant parenting fundamental (so much so that it’s the first chapter in our new book!). Next week we’ll take a look at what wings and strings can look like in real life. It’s something to think about. Last Valentine’s Day, the parents of our teenage daughter’s best friend took the girls and a third friend out to a fancy restaurant. The dad gave the girls pretty rings and a pep talk about their priceless worth and the importance of loving and respecting themselves. He had contacted my husband Doug and me earlier to ask our permission and we happily consented. After all, he was reinforcing something we felt strongly about and we were glad for Hillary to hear it from more than just us. Do you have the benefit of other influences in your teen’s life that will tell him the same things you would? The unique value of other adults in our teens’ lives is not just the wisdom they offer, but the fact that they are listened to. So, if our voices are temporarily devalued and our influence seems to be waning, we can recruit others to “shore us up.” Plus, sometimes other adults offer unique perspectives and insights that we as parents simply lack. For example, when one of our kids was going through a rough patch in high school, his track coach stepped in and brought some much needed perspective, encouragement, and accountability. This coach was also our son’s AP Psychology teacher. Because of that expertise, he was able to offer him unique insights that spoke directly and objectively to his logical nature, helping him better understand himself and his reactions. It ended up being a win on a number of levels. Guaranteed: your children will stumble here and there as they make great strides. Sometimes, they will want you there to pick them up, dust them off and set them straight again. Other times, they’ll prefer you keep your distance and let them handle it. In these instances, having those important third part voices in place will be great backup support. If your teen is having a tough time, who in your life could become an asset for the situation? It always pays to know, and to keep them in your “hip pocket” just in case! What do you think about the idea that “parenting is a team sport?” Who are other adults that you would consider to be on your “team?” If you need to shore this up, who are some likely candidates? Posted b y Arlyn. Adapted from Parenting for the Launch: Raising Teens to Succeed in the Real World (Dennis Trittin & Arlyn Lawrence, LifeSmart Publishing). The summer passed quickly without us seeing much of Michael—no surprises there—and soon we were on our way to Southern California for the send-off. I held up well…that is, until the parents were asked to depart and the college gymnasium became a sea of embraces and good byes. When it was my turn, all I could get out was, “Thanks.” And then Michael was off. I thought, That’s it? So quickly? I’ll never forget walking to the car in silence—Jeanne, daughter Lauren, and me—each of us processing what had just happened. Our once child and now young man was ready for the launch. And, though admittedly I shed a few tears, I couldn’t have been happier for him. Sure, we’d miss him dearly, but we’d prepared him and ourselves for this moment—and now Michael was on his way to living his dream. “Launch time” is that moment we parents practically and emotionally hand over the reins and transition to a new stage. It hits us all differently, because we—and our children—are unique. How well we handle this stage will have a major bearing on the quality of our parent-child relationship for years to come. When teens reach the launching stage (roughly the year before and few years after leaving home—usually 17-20), they embark on a new life-phase that is vitally important to their future. Because they’re one part child and one part adult and maturity levels vary, some transition better than others. How well their parents handle it plays a crucial role, too. Our ability to successfully launch our teens to thrive in adulthood doesn’t just “happen” at the moment of send-off. It is the result of all of the hard work and preparation that has come before. 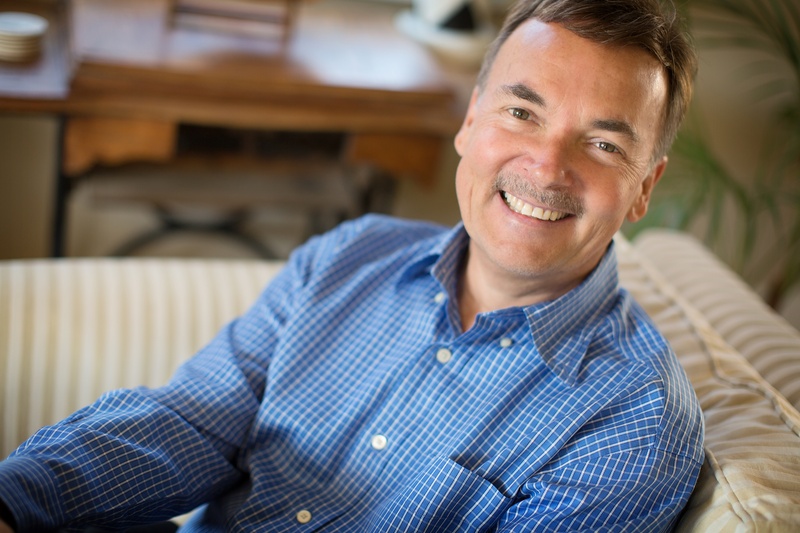 Their self-confidence as independent adults will frame how well they transition to this next phase of life. The fact is, we can’t control our children’s outcomes, but we can prepare them to make wise decisions for their long-term futures. Then we can release them to find their way, while always being there for sharing, caring, and advice as they seek it. We let go, knowing we’ve given it our best. It’s as simple and as difficult as that! We wrote this book in response to the desires of parents for a comprehensive guide for preparing teens, of educators who want to build stronger bridges with parents, and of business leaders who are demanding greater leadership and life skills in the workplace. Parenting for the Launch will be released in mid-November, 2013. You can follow us in the meantime on www.parentingforthelaunch.com. On our website, be sure to check out our new book trailer video! Please grow our circle by “liking” our FB page and following @Parent4Launch on Twitter. Forward this email to your networks, encourage them to sign up for our email newsletter, and help us spread the word by sharing Parenting for the Launch with your friends, family, and associates. Thanks for joining us on our journey! Peer pressure is part of growing up. I wish that weren’t true as we grow older, but I think it’s just as much a reality for adults as it is for teens. For some reason, some people feel compelled to tell us who our friends ought to be, what brand of jeans we should wear, whom we should date, and how we should deal with relationships, politics, money, faith, and so on. We’ve all been in that uncomfortable situation when we disagree with the “sage advice” we receive from our peers. Sometimes we push back, but other times, we’re reluctant to defend our beliefs out of fear or embarrassment. How do you respond when you’re challenged to stand up for your beliefs or values? Besides the pressure young adults receive from their peers, today’s colleges present a new form of pressure, and students had better be prepared for it! They’ve become increasingly more politicized than when I was in college, especially in the classroom. All too often, we hear stories of professors acting like agents of indoctrination (i.e., “You have a right to my opinion”) rather than agents of education where the objective is to present all sides of an issue. Has this been your (or your student’s) experience? Sadly, sometimes there is outright hostility, intimidation, and grading bias when students do not conform to their professors’ views. There will also be instances on the job where we disagree with our manager or employer regarding a business practice or issue. As with the college professor situation, much may be at stake if an employee resists or pushes back. · Know what your beliefs and values ARE. You need to know this before you can stand up for them! · Always remember that you have every right to your opinion, and being able to share that opinion with respectful conviction will serve you well in life. · You should respectfully confront such individuals in private to share your position and concerns (who knows, you might become a change agent yourself?). · Be willing to walk. Remember, not everyone is meant to be your friend. And in job situations if there is significant conflict with your values, it may be time to move on to greener pastures. Do you respect your beliefs and values enough to defend them in the face of hostility? How have you learned to communicate them clearly and stand up for them? We’d like to hear your advice and experiences! How many coaches have you had in your lifetime? 20? 30? 40? However many there have been, each was responsible for developing you in some subject or skill area. They helped grow your strengths and correct your weaknesses. When delivered in the right setting and in the right manner, their constructive criticism was a good thing, wasn’t it? There can be a dark side to criticism, though. It can be sharp, abrasive, and downright mean-spirited. This kind of advice comes off sounding like a slap in the face instead of an arm around the shoulders. People do it because they think it gets results. Are they right? What’s the best way to motivate people? I’ve known people who are natural critics of everything, including themselves. It’s as though they thrive on negativity and find pleasure in correcting others. They have a distorted view of reality and can often be angry depressed, insecure, mean-spirited, or all of the above. These types usually operate on the assumption that correcting weaknesses is the way to maximize results. They are stingy with their praise. “Coaches” like this can be tough to handle. There is another philosophy that operates from a completely different paradigm. It embodies inspiration and constructive feedback. Here, others are challenged to build on their strengths and correct their weaknesses through positive instruction and effort. Communication includes both positives and negatives, but the style embraces praise and encouragement over harsh criticism. 1. Which style works better for you when you’re on the receiving end of criticism? 2. Which style do you employ when you’re on the delivering end of criticism? There’s a proverb that says, “The right word at the right time is like a custom-made piece of jewelry, and a wise friend’s timely reprimand is like a gold ring slipped on your finger.” Wouldn’t it be great to have that kind of impact in other people’s life? Not only that, wouldn’t it be more effective? Throughout your life you’ll face countless situations where you give feedback to others. You may become a teacher or coach yourself, or perhaps a manager of people. You might be asked for guidance from a friend who is going through a difficult time or a tough decision. Which coaching philosophy will you adopt? Remember, how you say it matters—a lot. In order to bring out the best in others, the encouragement approach is far more effective. Not only is the feedback more balanced and accurate, but people put forth a more inspired effort to reach new heights when they work with someone who cares. Simply stated, people try harder to please someone they like and admire. So, whenever you have the opportunity, be an encourager, not a critic—and always look for the best in people. Consider the favorite teachers, coaches, and mentors in your life. What coaching style did they use? Which one comes more naturally to you? Do you actively seek opportunities to praise and encourage others? Please share your thoughts, experiences, and questions with us by commenting below; we’d love to hear your perspective!